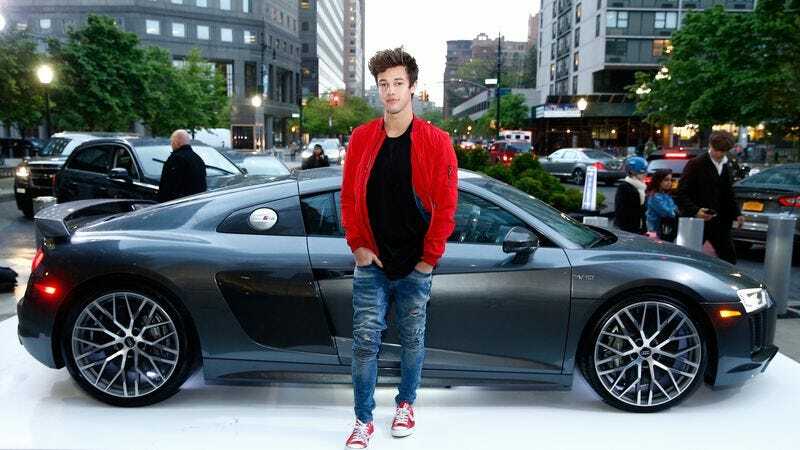 Obviously, everyone here is totally hip to the current trends, from the hot nu-metal bands tearing up the MTV charts to the coolest new Kardashian family members, so we’re all definitely familiar with the work of Vine star Cameron Dallas. For those who aren’t, though, he’s the guy who (as a press release helpfully explains) “catapulted to fame quickly with viral Vine videos that have since won over the hearts of adults and tweens across the globe” and now has “a fan base of over 35 million followers across five different social media platforms.” Yeah, duh. We all knew that already, just like we all know what exactly Cameron Dallas does with these Vine videos and four other social media platforms, because to admit otherwise would expose all of us as lame, out-of-date losers who don’t know a Periscope from a Meerkat. Anyway, Netflix has now given Cameron Dallas an unscripted reality series that will follow him and “his close circle of friends and family” as he tries to take his previously well-explained career “to the next level.” Also, apparently “it’s not all selfies and Vine videos” for Dallas, because the series will even delve into the “stark contrast” between his real life and his online persona, which will probably be pretty eye-opening for those of us who are deeply familiar with what his online persona is.